With an action packed lineup of activities including rock climbing walls, face painting, balloon artists, roving entertainment, giveaways plus much more, this is a night not to be missed. 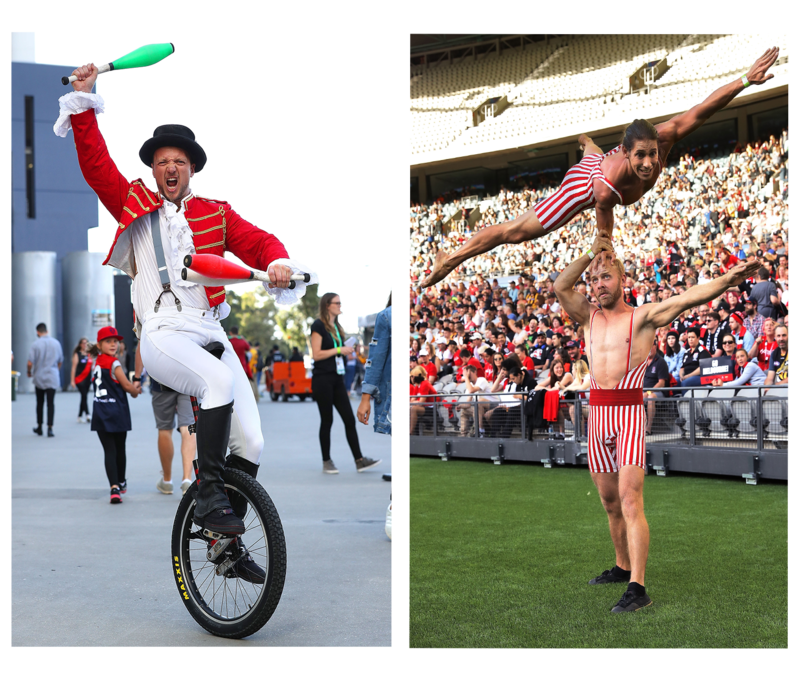 As you enter the battle dome, choose your team and feel the excitement build with roving entertainment, face painting, balloon artists, test your strength on the rock climbing wall and get set to experience your favourite superstars come to life in AFLX 2019. 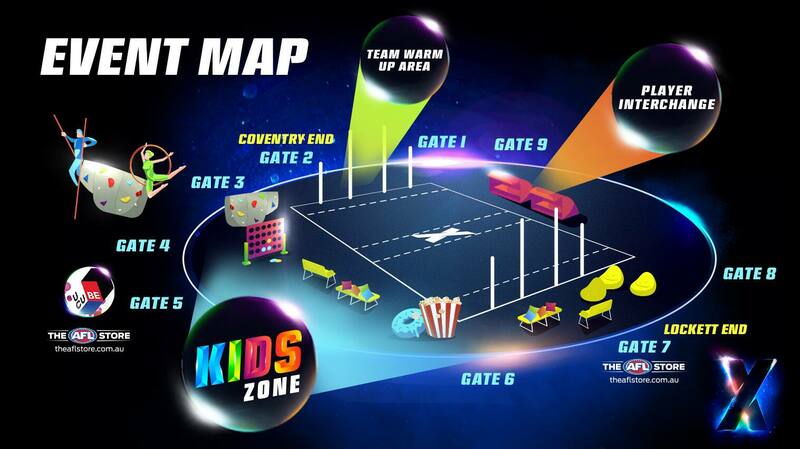 The 2019 AFLX Kids Zone will bring you closer than ever to the action! 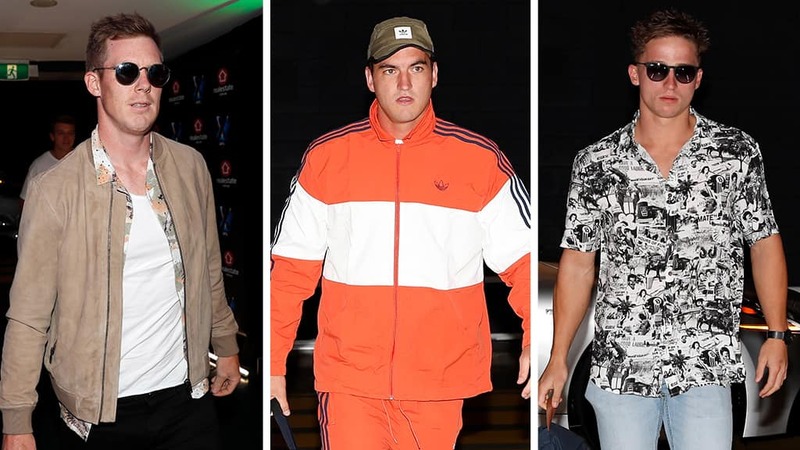 Grab a bean bag, pick your spot on the ground and get ready to watch your superheroes come to life as they take part in the 2019 AFLX Tournament. The Kids Zone will feature comfortable seating options, the opportunity to get up close and personal with roving entertainment, face painting, giveaways and plenty of activities bringing you within arm’s reach of your super team! 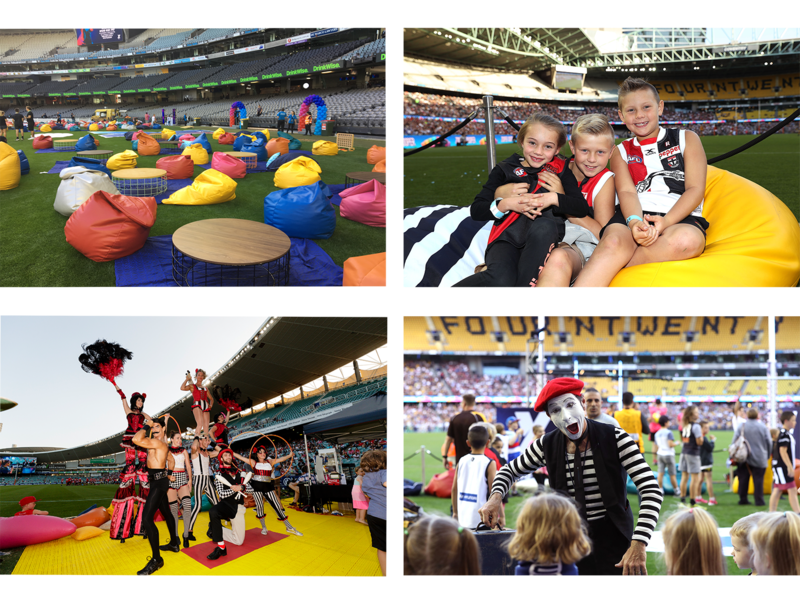 Take a wander through the Kids Zone and witness the teams warming up prior to their match, sit back and relax under the Melbourne sun, try your luck at Jenga or Connect Four and watch the magic unfold at the iconic Marvel Stadium. Join in the fun off the field and take a leap into uCube - a free and interactive zone that provides huge variety of sensory play equipment, including slides, ball pits, obstacles, jumping mats, tackle bags and footballs, all tied into a bright colour scheme based on the colours of each tenant club at Marvel Stadium. uCube is located at Gate 5 on the internal concourse, near aisle 33, and is open to children aged 5-15 years only; children under 5 must be accompanied by an adult at all times. The uCube Kids Zone is FREE! During AFLX, Fit For Footy will be holding a training session and some fun combine testing! Fit For Footy are holding an intensive 45 minute training session during the AFLX tournament. This will involve Footy and Fitness drills taught to you by the biggest names in the game. This is a FREE session, but spaces are limited so register here so you don’t miss out on a spot! How fast are you compared to Patrick Dangerfield or Erin Phillips? Can you jump as high as Nic Naitanui? What are your handball skills like compared to Emma Kearney or Josh Kelly? It’s time to get game ready with Fit For Footy. Where: Marvel Stadium indoors in the Victory Room. 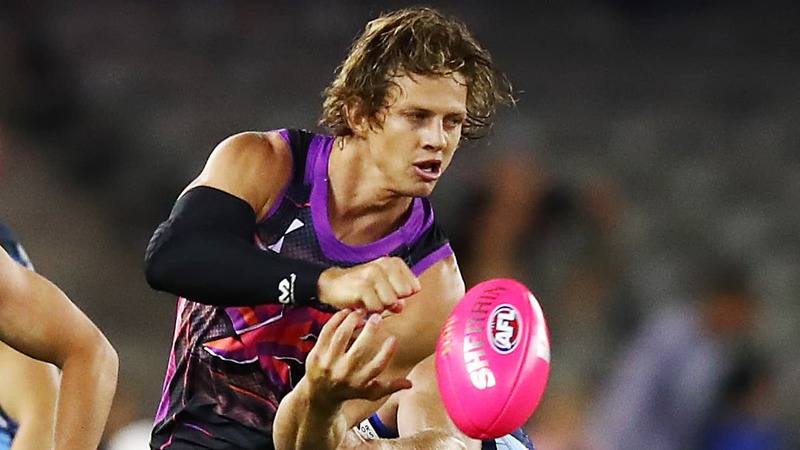 Costs: Both are free sessions once you have purchased a ticket to the AFLX, but register here for the Fitness Session so you don’t miss out on a spot, as spaces are limited! Time: Fitness Session 6pm Combine Testing 7pm onwards. What to bring: Towel, water bottle and running shoes (no footy boots). Must be 12 years or older, and if you’re under 18 you must be signed in by a parent or guardian on the day, or you will not be allowed to participate. Returning for 2019, Nathan is a familiar face for many Australians and will be on the ground amongst the action bringing you the latest news and updates from the teams and special guests. 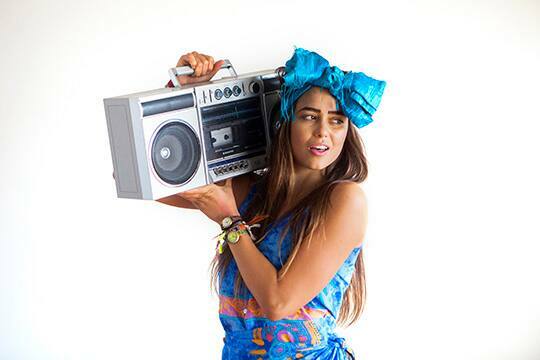 With the continued success of the AFL Kids YouTube Channel and Footy Lyfe program, Amberley will showcase her hilarious skits and personality, bringing you the latest craziness and antics from players and fans.